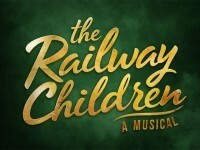 There will be a a one-off concert staging of musical adaptation of The Railway Children at the at Cadogan Hall at 18:30 on Sunfay 21st January. Alex Parker and Katie Lam's adaptation follows the duo's staging of Smiles of a Summer Night and South Pacific at Cadogan Hall. The Railway Children a Musical is adapted from E Nesbit's classic children's book about Bobbie, Peter and Phyllis as they move to the countryside with their mother following the disappearance of their father. Starring Rebecca Trehearn as Bobbie with Paul Baker as Mr Perks, Rob Houchen as Peter and James Bolam as the Old Gentleman. The rest of the cast includes Deborah Crowe (Mother), Emma Harrold (Phyllis), David Birrell (Father), Maggie Service (Mrs Perks), Jonathan Dudley (Jim/Mr Szezcpansky) and Jack McCann (Mr Connolly). The new musical adaptation will be performed by 24 members of the Alex Parker Orchestra and directed by Jordan Murphy.